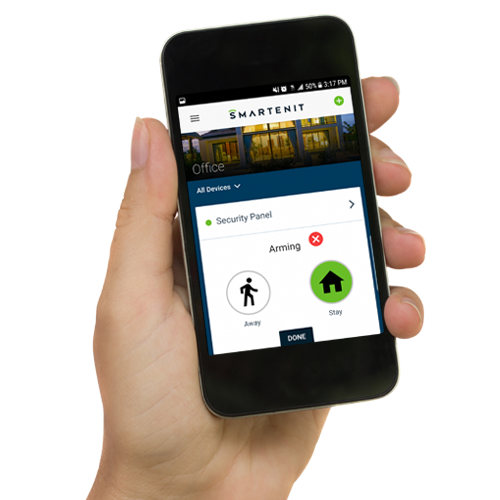 Combine video monitoring with our basic security system and get the most flexible and integrated solution for access to a home or building. 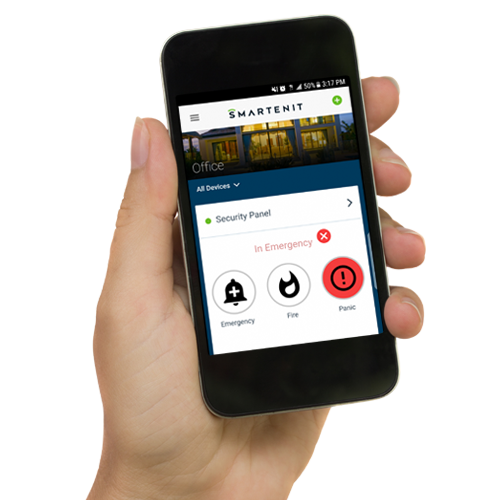 Get an alarm when someone is at the door, interact with a visitor and allow or deny entry – all from the convenience of your smart phone and from anywhere! An entry such as the main door of a residence is outfitted with an IP camera, a ZigBee enabled door lock, our ZBALRMB doorbell switch and our ZBMS3 motion sensor. 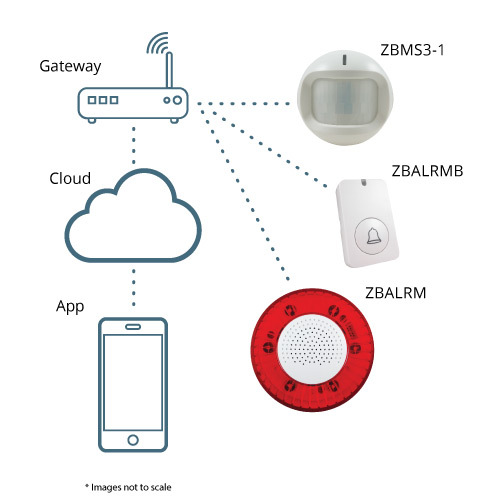 A light fixture by the door is controlled by using a ZBMLC15 ZigBee load controller. Our ZBALRM programmable siren is used to produce a doorbell chime sound whenever the doorbell switch is pressed. Our Harmony G2 Gateway/Hub brings it all together by connecting all devices in a wireless network, and then giving access to the system via the app or a web application in a tablet or PC. Control can be local or from anywhere there is a web connection. 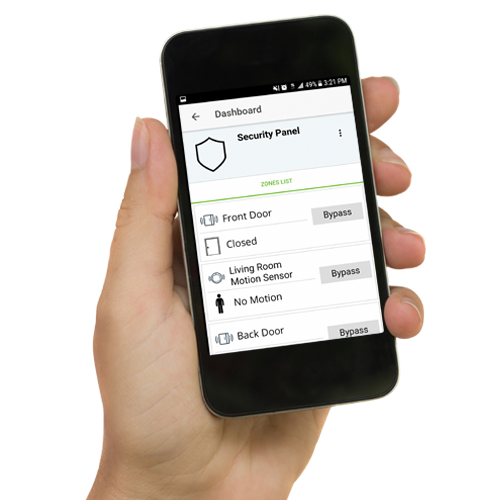 The system can be programmed to produce a chime, take a picture, and to send a notification including the picture, to a smart phone in response to someone pushing the doorbell switch, or movement detected by the motion sensor. The user can then interact with the visitor (video and sound) through the camera, turn the entry lights on, as well as allow a trusted visitor in by unlocking the door. This reference solution can be expanded with additional sensors including temperature, smoke, CO, liquid leaks, etc. Contact us if you would like a pre-packaged evaluation solution kit, or for more information.